Copies.pro - Professional Hosting and eMail Services offers a stable OpenCart hosting service. We offer an automatic OpenCart installation right at signup, a round-the-clock client care service and a ninety-nine point nine percent uptime guarantee. You can get an OpenCart-optimized hosting package for only $2.75/mo, along with a brand new domain. OpenCart™ is a registered trademark of OpenCart Limited and is not affiliated with Copies.pro - Professional Hosting and eMail Services. OpenCart hosting made easy with Copies.pro - Professional Hosting and eMail Services! 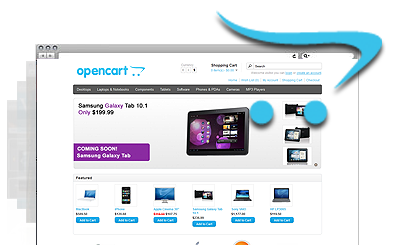 We meet all criteria for hosting OpenCart-based web stores. Copies.pro - Professional Hosting and eMail Services offers an exceptional client support service.